In addition to standard network and duplex, the ECOSYS M6535cidn also has a 7" colour touch screen and HyPAS platform solution for advanced functionality. The document workflow can be further optimised with the use of dedicated program keys. 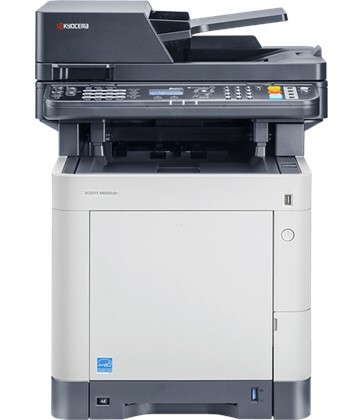 See the manufacturers web site Kyocera ECOSYS M6535CIDN for more information.